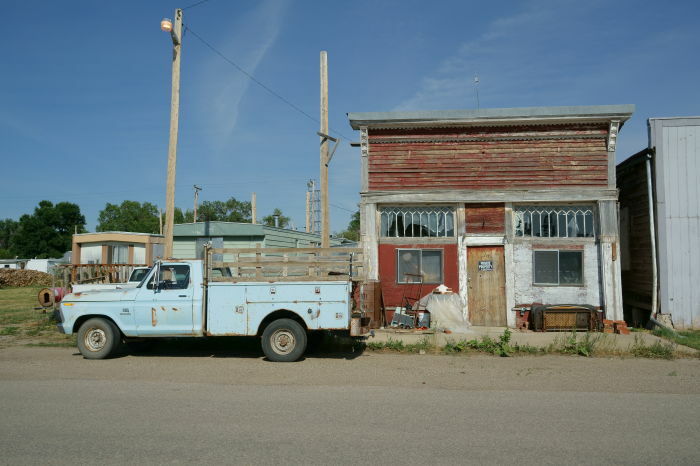 On my 210-mile drive from Malta to Billings, Montana, there were just two towns: Grass Range and Roundup, Montana. With so little to see in this part of the country, it’s worth stopping in both towns, just to stretch your legs and see what’s there. On the drive south from Malta, Montana to Billings, Montana, you’ll need to take US 191 to Montana 19 to US 87. While the numbered routes zig-zag across Montana, this is the most direct route. At the southern end of Montana 19 you’ll find Grass Range. 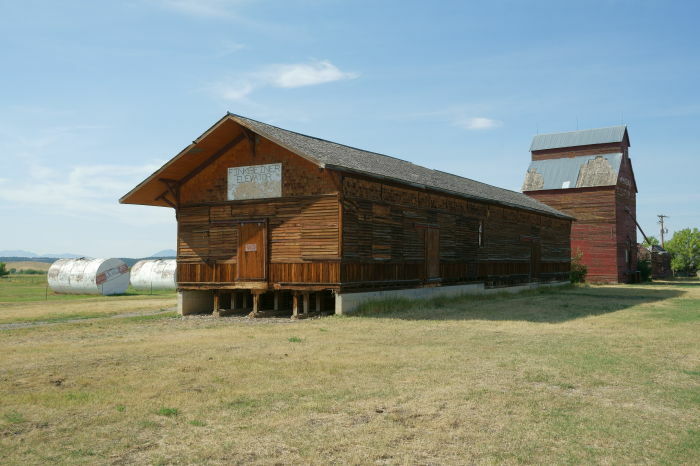 Roundup, Montana is further south, at the intersection of US 87 and US 12. Grass Range, Montana is the kind of place where life is tough. You’re almost 100 miles from Billings. As far as I could tell, there’s only one store — the truck stop out by the main road. The town’s most noticeable landmark (aside from the water tower on a hill above the highway) is this picturesque barn and elevator, at the north end of town. I stopped to take this picture on Main Street, and realized I was drawing some attention. I said hello to the woman who lived in the house across the street, and told her not to worry, I just like to take pictures of buildings in small towns. She told me I had arrived a couple of weeks too late. Just a few weeks earlier, the town’s old store had burned. 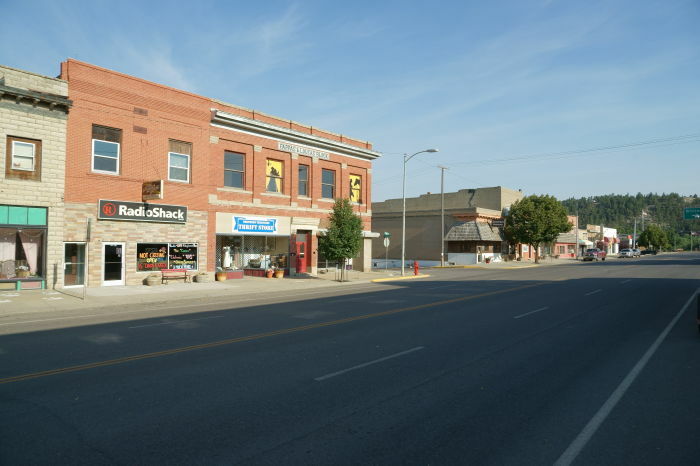 It was only about a block from her home — after all, the entire town is just a few blocks long. 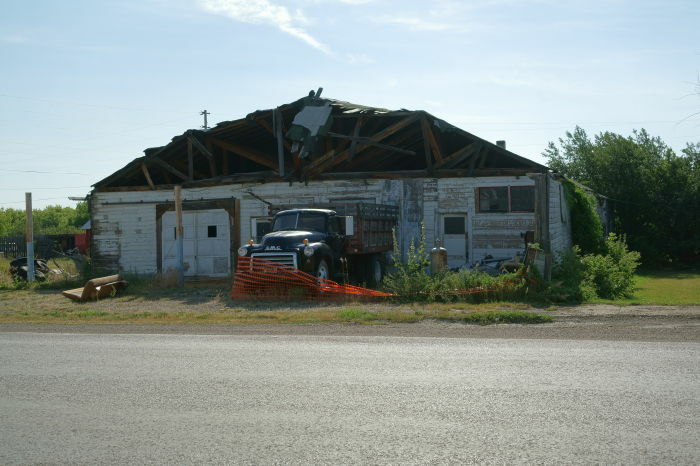 The building was no longer used as a store, but it was still a big loss in such a small town. The local news posted a few pictures of the fire. And by local, I mean 135 miles away, in Great Falls. 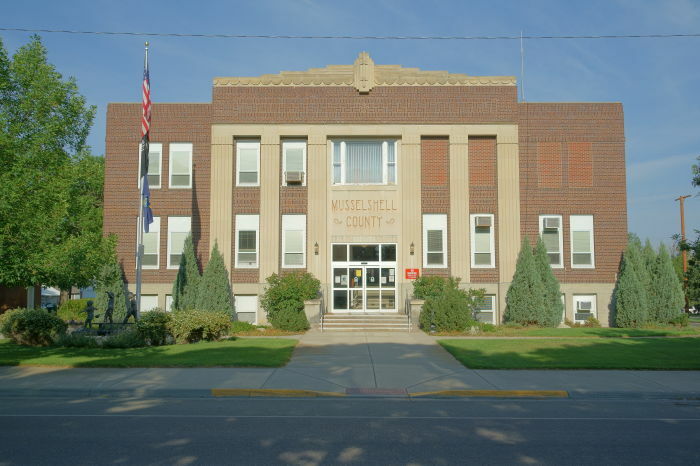 They reported that volunteer fire crews showed up from several neighboring communities, and kept the rest of the town from burning to the ground. But, the old store was lost. I took a picture of one other building in Grass Range, thinking it might be the old store. From what I’ve seen of the fire, I’m now pretty sure that this is a different building – although it, too, looked like it burned at some point. My conclusion: life would be pretty tough here. … but no stoplight — just some flashing lights at the town’s big intersection, where US 12 and 87 make a turn. 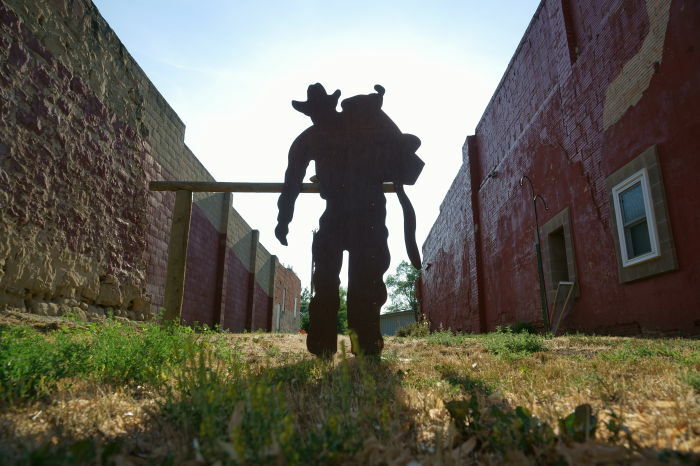 I thought this silhouette cutout was a nice piece of public art, especially with the sun directly behind it. 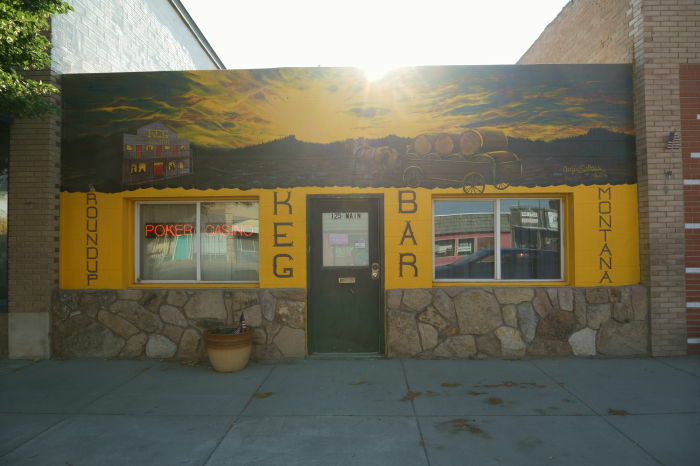 The Keg Bar appears to be a long-time fixture in downtown Roundup, Montana. 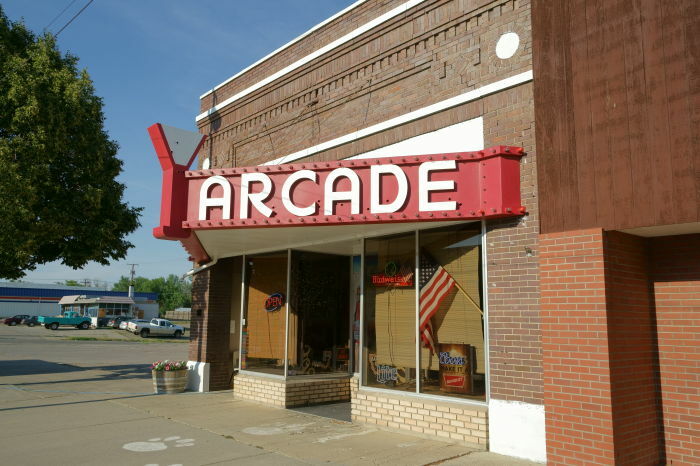 So does the Arcade — although it’s not a movie theater, as the marquee would suggest. 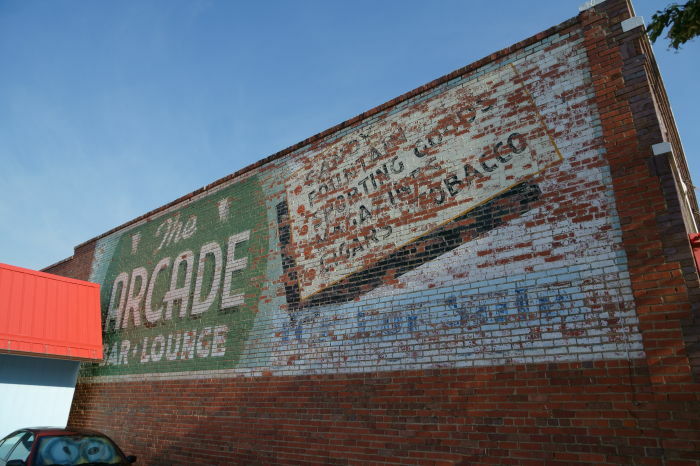 The ghost sign on the wall clears things up – it’s another bar. 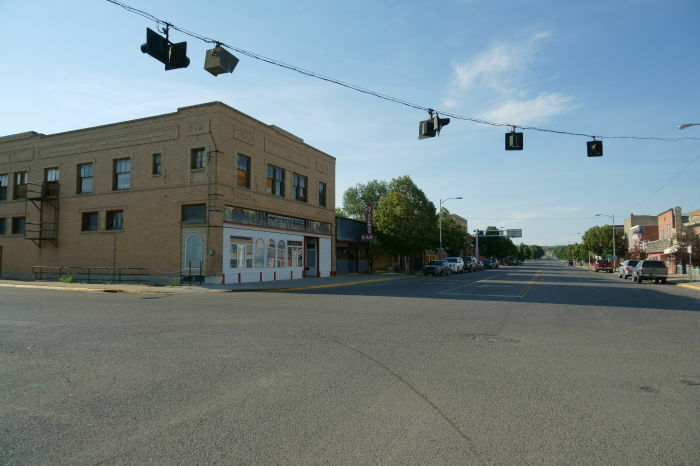 Aside from the bars, nothing was open as I walked the streets of Roundup, Montana. It was a Sunday afternoon, but it still seemed quite lonely. My long drive across the middle of Montana was almost done. It was only another 50 miles, or so, to Billings, and I hoped to arrive early enough to catch a sunset. Take some time to stop and see both Grass Range and Roundup, Montana. They both deserve at least a little bit of your time. And, it’s really the only thing to do out here, aside from drive.